4 Bedroom Detached House For Sale in Sandbach for Asking Price £400,000. 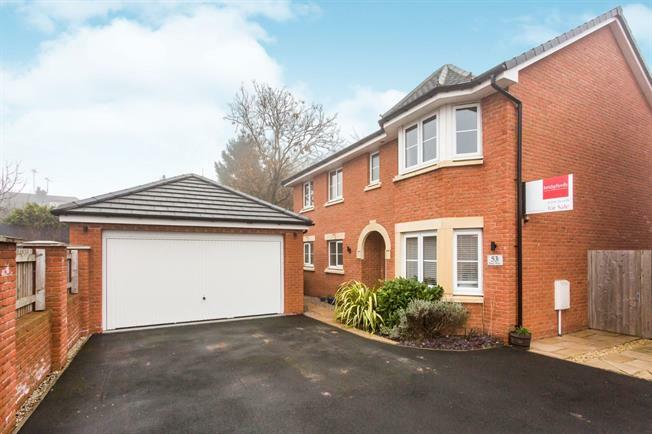 Very well presented modern executive four bedroom detached house. Located to the south of Sandbach with a good range of local amenities and facilities including shops and schools. This spacious home offers ample living accommodation for a family. The historic town of Sandbach offers a wide and diverse range of shops , supermarkets bars and restaurants. The location of the property alos provides excellent commuter links via the M6 motorway and Sandbach main line railway station, with regular direct links to Manchester. The property comprises of lounge, study/dining room, kitchen/family room utility room and WC . To the first floor there are four bedrooms with the master bedroom and two benefiting from en-suite facilities and separate family bathroom. Outside the property there is a detached double garage and driveway providing parking for several vehicles. Viewing strongly recommended.